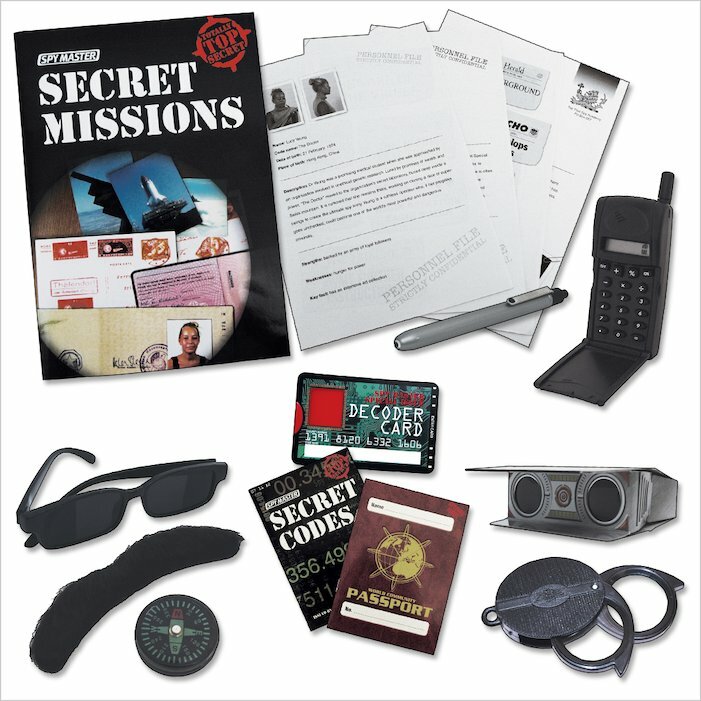 Go undercover with the ultimate spy toolkit, full of amazing gadgets to take your breath away. Top secret, hi-tech and dangerous to know, this is one that you just can’t stop buying! 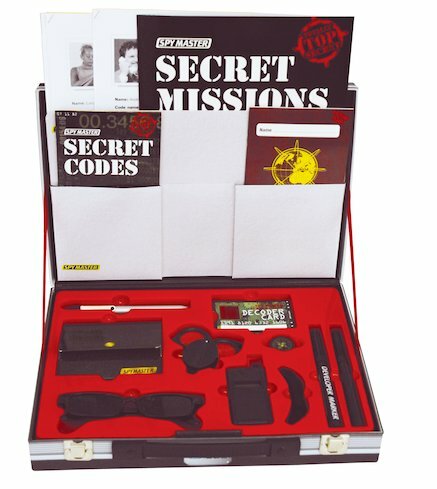 In the slick black briefcase you’ll find everything you need to become the world’s top spy. 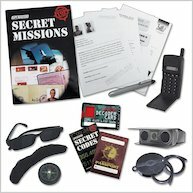 With a spy pen, binoculars, a disguise kit and lots of smart gadgets to track and trace your suspects, no villain will want to get on your wrong side! Briefcase contents: secret missions file, personnel files, spy passport, secret codes book, biro, spy marker pens, spy torch, decoder card, compass, mobile phone gadget, fake moustache, rearview glasses, binoculars, magnifying glass. Requires 3 AAA batteries (not included).